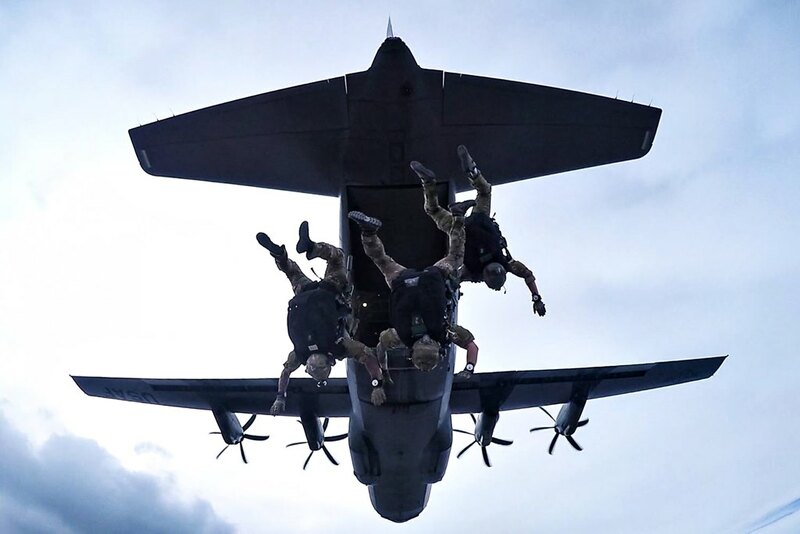 Guardian Angel Team members conduct training on all aspects of combat, medical procedures and search and rescue tactics to hone their skills, providing the highest level of tactical capabilities to combatant commanders. USAF Guardian Angel Team conducts a free fall jump from a C-130J Super Hercules. 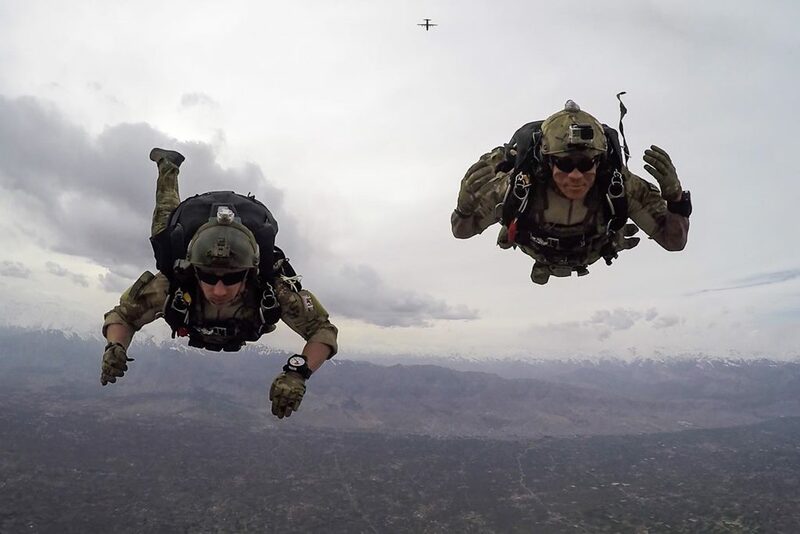 Guardian Angel is uniquely designed and dedicated to conduct Personnel Recovery across the full range of military operations and during all phases of joint, coalition, and combined operations. 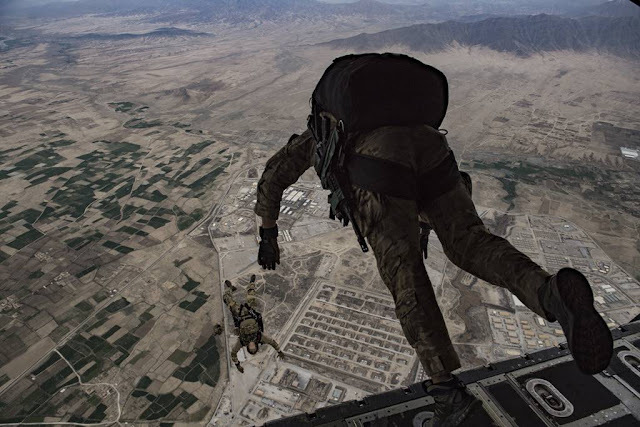 Its most fundamental mission tasks are: 1) to prepare personnel who may be isolated or become missing while participating in U.S. government sanctioned military activities (or missions in uncertain or hostile environments), 2) to conduct recovery operations during peacetime and war, and 3) to lead reintegration operations after a recovery. Guardian Angel may be visualized as the ground element of the USAF Rescue triad, and commonly functions in conjunction with USAF HH-60 helicopters and HC-130 aircraft. When tasked separate from the triad, Guardian Angel may work autonomously or be integrated with joint or coalition forces, including: Special Operations Forces, vertical lift, airdrop, command and control, resupply, close air support, and ground mobility assets. Guardian Angel delivers military and civilian leaders eight foundational capabilities across the Personnel Recovery continuum: 1) preparation of potential isolated personnel; 2) completion of Personnel Recovery mission planning; 3) insertion of recovery forces; 4) tactical movement to an objective area; 5) execution of actions on the objective (tactical, technical, and medical problem resolution); 6) extraction of recovery forces, friendly forces, and isolated personnel; 7) reintegration of isolated personnel (conducting debriefings and providing the support necessary to return the isolated personnel to their pre-isolation status); and 8) adaptation and application of lessons learned following any operations. All missions may be characterized by time constraints, uncertainty, high operational risk, and changing conditions. Guardian Angel responds to these challenges and can deliver these eight capabilities anytime and anywhere. 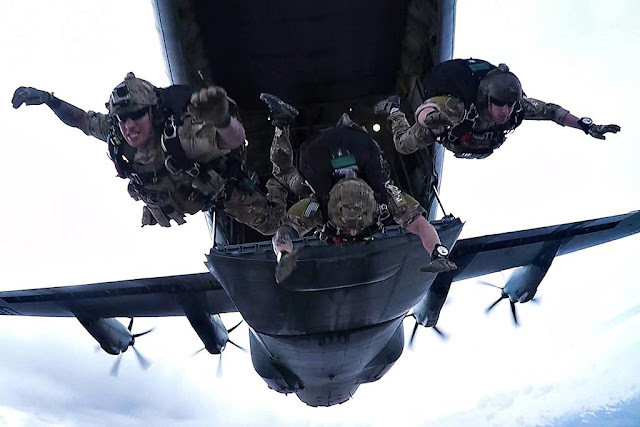 Guardian Angel is comprised of Combat Rescue Officers, Pararescuemen, Survival, Evasion, Resistance, and Escape (SERE) Specialists and uniquely trained support personnel dedicated to the Air Force core function of Personnel Recovery. Together, these warriors are the soul of a non-aircraft, equipment-based, human weapon system. The elite warriors that comprise Guardian Angel have conducted over 12,000 lifesaving, combat rescue missions since September 11th, 2001. Additionally, because of their unique capabilities, they have been called upon to lead the rescue of over 5000 civilians worldwide during catastrophic natural disasters and other humanitarian responses over that same period. They've trained over 200,000 Department of Defense Personnel in SERE techniques and conducted over 240 reintegrations. The desired Guardian Angel operational effect is to quickly return friendly forces to duty while denying adversaries a source of intelligence and political exploitation. The effect is achieved across the range of military operations. As such, Guardian Angel may engage in Combat Search and Rescue operations in a contested military environment, participate in Building Partnership Capacity and Irregular Warfare before conventional hostilities begin, and conduct humanitarian operations in support of our allies during peacetime. Non-combat responsibilities are met by applying strategic intent and the universal desire to conduct operations that mitigate human suffering and save human lives.